Convenient Location in Lake Elsinore to Serve You! A history of repairing cell phones dating back to when the only people using one might have been on the Lifestyles of the Rich and Famous gives you more than a little expertise. 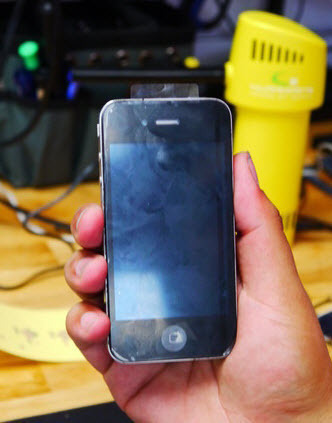 Dan Laue has been repairing cell phones for over twenty years and has witnessed every innovation and fixed them all and that is why his ICrackRepair service is the only place to trust your phone. From the big bulky first cell phones that came with price tags in the thousands, to every number IPhone that you can think of, to tablets and computers, Dan has managed to fix every gadget that comes into his ICrackRepair stores. The first tip when it comes to electronics is never give up on any product, whether it has been dropped, run over, thrown or water soaked, there is almost nothing that Dan can’t bring back to life. The simple cracked screen is a quick and affordable repair that you can usually walk into one of the ICrackRepair stores and have it fixed while you are waiting or come back in a few short hours. If it is a little more in depth damage you might have to leave it for longer, but it is worth coming in and having it looked at. Dan and ICrackRepair want you to leave a happy customer so they are going to be upfront with you and let you know the cost and if it is cheaper just to throw it and get something new, well they are going to tell you that as well. As you can imagine the inside of a cell phone is tricky piece of electronics. There are screws so small the human eye can miss them and there are more than a few. The problem with so many small pieces is that when you get your phone back you never know what you are getting. Will there be a screw left out, will the replacement part not be up to standard. With ICrackRepair you don’t have to worry about that. 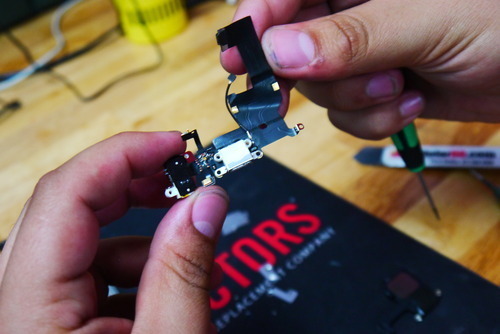 Dan has a huge inventory of factory quailtiy replacement parts and he makes sure everyone on his staff has the ability to put your phone back together just the way you got it when you first purchased it. ICrackRepair even stands behind every repair with a six month warranty. When you purchase any phone today or tablet or computer it is really more of an investment and truly something that most people can’t live without. Whoever sells you your phone will certainly pitch you the insurance package, the best advice here is to pass on any insurance. 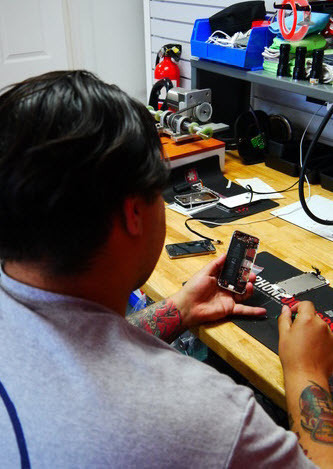 According to Dan by the time you add your monthly payments and the deductible that comes with most high-end phones, you are better off saving that money as that total cost will likely be more than one repair at ICrackRepair. The cost of a cell phone is not going down so the best investment you will likely make is keeping the ICrackRepair phone number nearby. 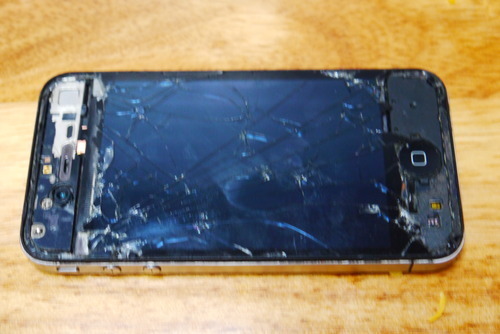 If you want to avoid that costly insurance and you don’t want to buy another new phone, ICrackRepair is your answer. And while the Apple Watch is fairly new, you can bet when the first one breaks, Dan and ICrackRepair will be ready to fix it and have it on your wrist as good as new. For more information visit ICrackRepair or call (866) 474-6630. You can find locations in Brea and Fontana. We have moved to Lake Elsinore Ca. Did you crack the screen on your iPhone, Android, or Tablet? For crack repair, or any kind of repair needed for any of these devices, or other electronics such as iPods, Mac or PC computers, drones, or video game consoles, etc you need to contact the fast fix professionals at iCrackRepair.com today! Website Design by WeBrand Digital Marketing.